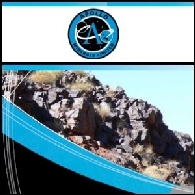 Apollo Minerals Limited (Apollo) is engaged in the exploration of mineral properties. 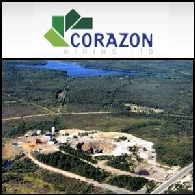 In November 2007, the Company announced the acquisition of an 80% interest in two tenement applications (ELA47/1378-9) located in the Pilbara region of Western Australia. 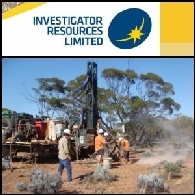 Asian Activities Report for September 2, 2011 includes: Investigator Resources Limited (ASX:IVR) today announced a significant upgrade to its Paris Prospect in South Australia; Apollo Minerals Limited (ASX:AON) has identified strong potential for large volumes of iron mineralisation on the Company&apos;s 100% owned Commonwealth Hill property in South Australia; Venturex Resources Limited (ASX:VXR) announced a 45% increase in the JORC Reserve to 5.7 million tonnes at the Sulphur Springs Copper-Zinc Deposit; GBM Resources Limited (ASX:GBZ) said today that the first drillhole completed on the Bungalien project farm-in area in Queensland has returned a broad interval of copper mineralisation. The Australian share market opened slightly lower on Wednesday with weakness in financial stocks. Wall Street has provided a flat lead to the local market. Mining stocks were mixed while commodities prices were firmer. Gold miners gained after gold price hit a record high overnight in London and New York. Australian stocks ended flat for a second day after an early rally sparked by Babcock & Brown&apos;s winning of a reprieve from bankers loses steam. Yesterday, the benchmark S&P/ASX200 share index ended little changed for a second day running, giving up just 1.4 points to 3542.4, while the All Ordinaries index ended down 0.2%, or 8.4 points, at 3468.1. Earlier, the indexes climbed about 2%. It is anticipated that the energy and mining sectors will plunge after the commodities price lowered with poor outlook and concerns over companies&apos; ability of debt refinancing in a short term may weigh on the stocks.